Cardcaptor Sakura Wallpaper: Sakura Blast! 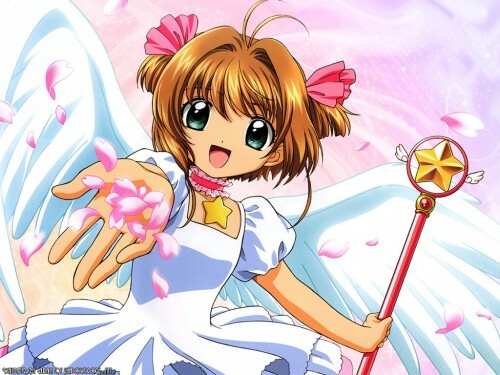 Minitokyo »	Cardcaptor Sakura Wallpapers » Cardcaptor Sakura Wallpaper: Sakura Blast! This wallpaper actually comes from my website. I just want your honest opinions on this one. It took me 2 hours to make the background but then when I added Sakura there, it kind of blocked everything. The is a really cute Sakura picture. I really like the background on this picture. The cherry blossoms are a nice touch. Mmmm. Who said that Sakura couldn't be any more cute than she was already? Very good. She looks so cute and gracious. The soft colors and her cute-looking face. The pink background. And the final detail when she's is "blessing" you with sakura (cheery-blossom) flower's petals. This one is an absolute anime art masterpiece (for those who look magical cute girls, and the others). The quality is very good. Thanks for such an awesome work. FANTASTIC AND wonderful work. congratulations!!!!! I'm so glad people like it. I'll try submitting another wall tomorrow! I have lots to show off. I can't really see the bg but I luv the pic! Ha! This is a really cute wallpaper. Good work here. Awww!! Sakura is so cute!! She looks so happy and energetic in that picture!! Very Nice Job!!! this is one of the cutest sakura walls I've seen!! the colours here are very gentle and elegant. the cherry blossoms fits perfectly into the wall and Sakura-chan looks ever so kawaii in it!! thanx so much for making this wall! kawaii~~ nice wall!!! really like it! !